With the month of May comes the much awaited graduation for college seniors and the commencement ceremonies that signal the end of their Seton Hall degree earning journey. 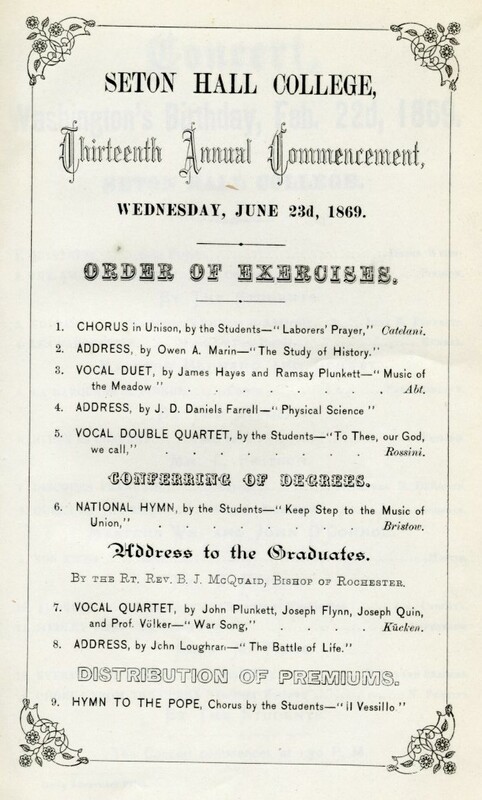 Along with the memories of diploma receiving achievements past, the University Archives has a large number of commencement programs, photographs, and other documentation that shows the activities centering around this celebration from the inaugural exercises in 1856, the first official graduate Louis Edward Firth, AB in 1862 to the ladies and gentlemen representing the Class of 2015. Below are a few examples of these informative program guides. 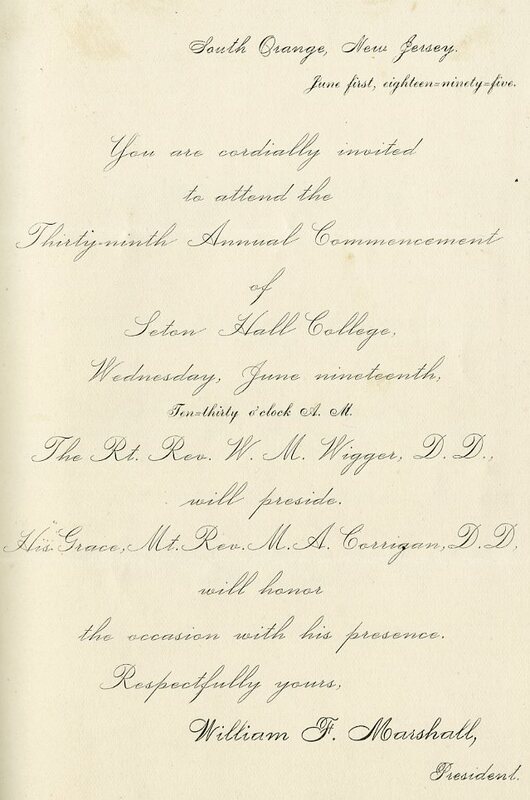 Additional perspective on graduation can be found through the listing of honorary degree recipients through the years as compiled by our student volunteer Mr. Matthew Peters. 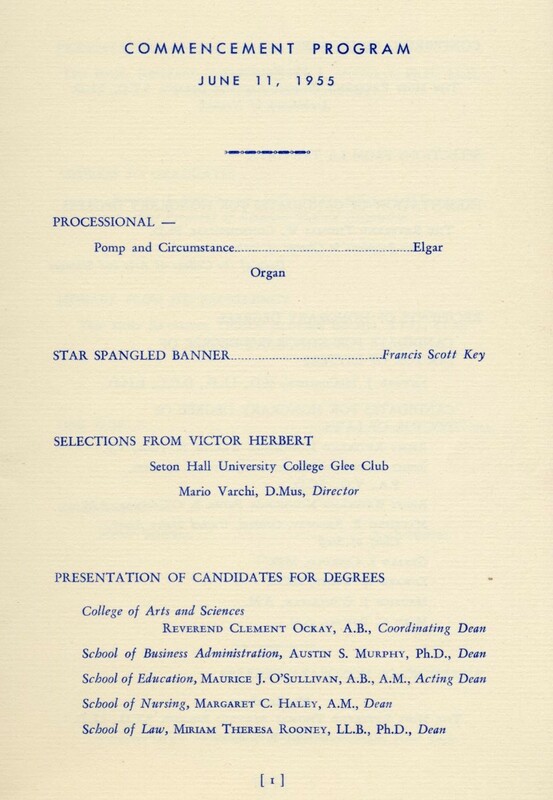 We look forward to working with you on your own commencement research exercises. In the meantime, congratulations to all the graduates present and future!